Boz got his start as the lead singer for a progressive rock band. For that reason, it shouldn’t be surprising that a lot of this music leans in the direction of progressive rock. 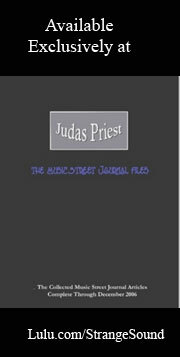 He also seems to have undertaken a spiritual journey in terms of application to his music. But that doesn’t translate to a preachy set of songs. In fact, it’s not even necessarily Christian. Of course, comparison’s to Neil Morse in terms of musical style and spiritual direction wouldn’t be out of the question. Still, a lot of the music here would feel at home on a Christian radio station. The musical heritage from Boz’ prog rock beginnings, along with some of the music here, land this into the progressive rock section of MSJ. 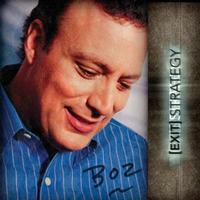 Boz’s Exit Strategy is an album that should sit well with Christian rock fans, but also play reasonably well with prog rockers. It certainly fits comfortably within an “adult contemporary” label, too. However it’s sliced, though, it’s an effective release. Percussion leads off on “Mr. Music Man.” Then a bouncing sort of pop rock motif with a lot of adult contemporary sounds built into it takes over. It’s a catchy number that feels familiar and yet new. There’s a tasty piano solo mid-track. A pretty piano motif starts this piece. The vocals come over the top as it builds as a ballad. The vocal performance seems to combine Elton John and Dennis DeYoung. It grows upward with additional layers of instrumentation after the first verse. It gets a guitar based treatment as it continues and there is a lot of drama built into the arrangement. As this opens it has a bouncy sort of sound that calls to mind Stevie Wonder just a bit. It settles out from there into something more in keeping with the first track of the disc. There’s some intriguing guitar work and more hints of Elton John later. The percussion that opens “Rest Assured” feels like a drum machine and the keyboard elements that join are equally pedestrian. However, the piece works out to something much greater than those origins. The vocal performance and guitar sounds manage to bring it beyond that concept even before it powers into more rocking territory. Another cover comes in the form of a lesser known, but beautiful, Genesis tune, “Your Own Special Way.” While this version isn’t as close to the original as the Elton John cover tune came, it still manages to capture the emotional power of the piece equally well. Genesis often had a lot of real emotion in their musical arrangements. So, for Boz to get it captured well is a real tribute to the talent present here. This features a duet with Lindsey Brown. It starts off a bit under-developed in terms of the arrangement and production. As the arrangement fills out, the production quality improves and the cut really gels. “Give 'Em A Hug” has a real Caribbean sort of texture. A horn section and all kinds of gang vocals bring a lot of fun to the table. The tribal drumming also contributes. It’s quite similar to the song “Teakbois” by Yes spin-off Anderson, Bruford, Wakeman and Howe. “The Big ‘D’” carries on with sort of an arena ballad approach. It’s another powerful cut, and another that at times calls to mind Dennis DeYoung. There is a lot of heart and passion built into the piece. “True Spirit” continues the central musical elements of the set, but is more of a rocking tune. There aren’t any real surprises, but it’s an effective number. This starts with a synthesized orchestral segment along with the sounds of a scratched record. It almost feels like the start of a hip hop piece. From there, though, it shifts out to a real progressive rock styled sound. This feels like a cross between something from Spock’s Beard and Pink Floyd. It’s powerful and one of the best cuts of the whole set. A guitar solo later in the piece reinforces that Pink Floyd reference. If there’s a misstep on the set, it’s the title track. Of course, it’s only a little over a minute and a half in length. It’s just an odd little folk number. It’s not bad, but seems under-developed compared to the rest of the music on the set. There’s a little spoken section, too. In some ways the piece also calls to mind Pink Floyd a bit. This certainly calls to mind progressive rock again. It’s got a powerful vocal performance and musically it features some sections that feel a bit like Celtic prog acts and other sections that feel closer to Spock’s Beard. The album closes with a very short sedate piece entitled, “My Soul in Stillness Waits Reprise.” It’s a satisfying conclusion to a strong release. It is a religious piece.